If you often think “my dog doesn’t enjoy enough culture”, LA is the place for you. This month, it’s time for Dogumenta, billed as “America’s first art show for dogs”, as it hosts its first exhibition in Los Angeles. 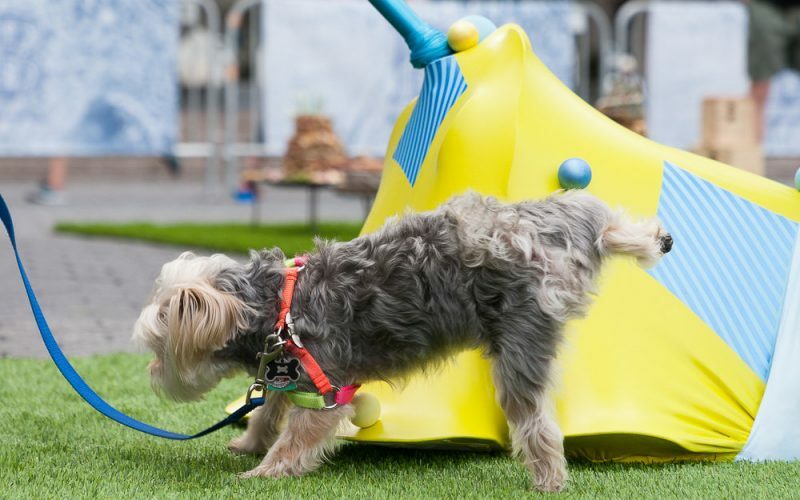 Following its inaugural show in New York City last year, this year’s must-sniff event for the canine collector is presented by Arts Brookfield and held in shopping centre FIGat7th on 14-16 and 21-23 September. It’s free and likely to be barking – the New York show was visited by some 1,400 pooches, one cat and one turtle. The key piece to check out is Tom, a Dachshund-shaped AI sculpture made exclusively for dogs. The piece by artist Merav Ezer can communicate with canines through a stylised vocabulary of visual and audio cues. The black silhouette is fitted with a motion sensor that triggers barks in the presence of a dog. If that doesn’t encourage “conversation” between art and viewer, nothing will.